Here is a special wooden cart built that has then been employed for potting purposes and hence builds a special garden decor and you can even say it a garden sculpture art made of pallets! 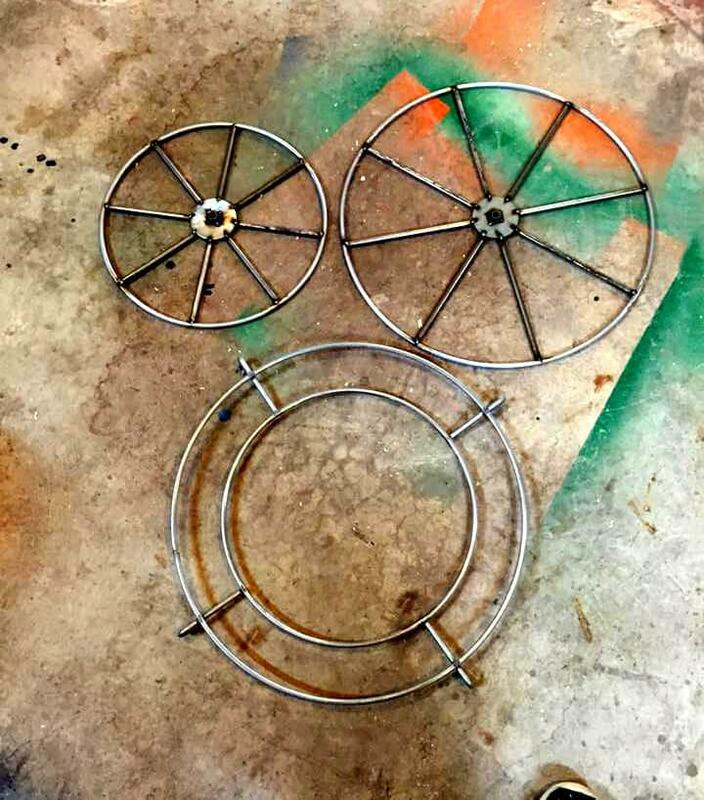 Get yourself inspired of this eccentric garden decor centerpiece, the DIY pallet cart planter, comes on original reclaimed metallic cart wheels got from home trash store! This item would is what you can prefer first while willing to go for a rocking style of garden decors, mostly the kids will love it very much! Overall shape of this cart is inspired of a traditional vehicle which has been filled with potting soil to serve like a beautiful art style planter in your green space, here metallic wheels also dignify the wooden medium with their accent metal luster! It can even hold the decorative flower pots inside if you are not happy by filling it with potting soil! This stylish hand-built pallet cart planter is surely going to make you green space look heavenly! 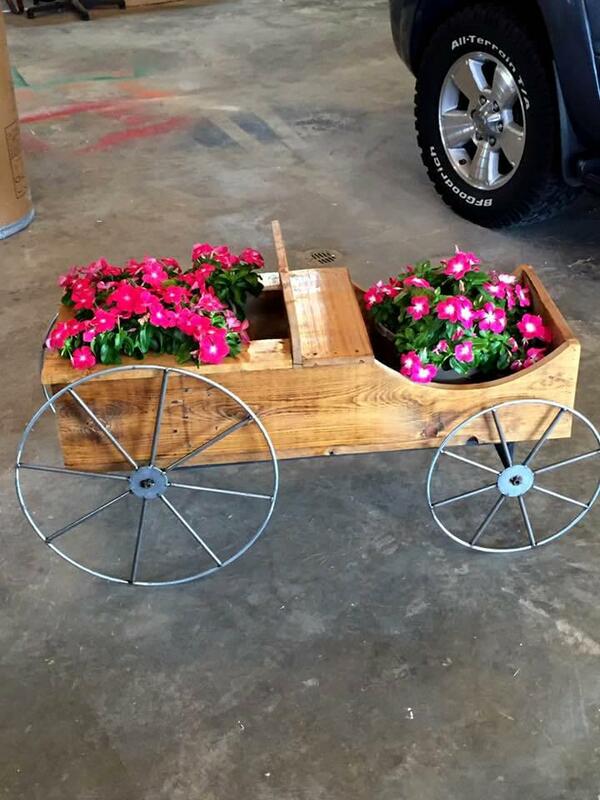 This is here something praiseworthy has been done with pallets and old cart wheels, a brand new wooden cart planter, would be an eccentric garden decor or sculpture! You need to grab the cart wheels first which are all necessary here, otherwise, the cart would look incomplete! You can also grab an old car handle to fix in it for a complete wooden vehicle out of it! 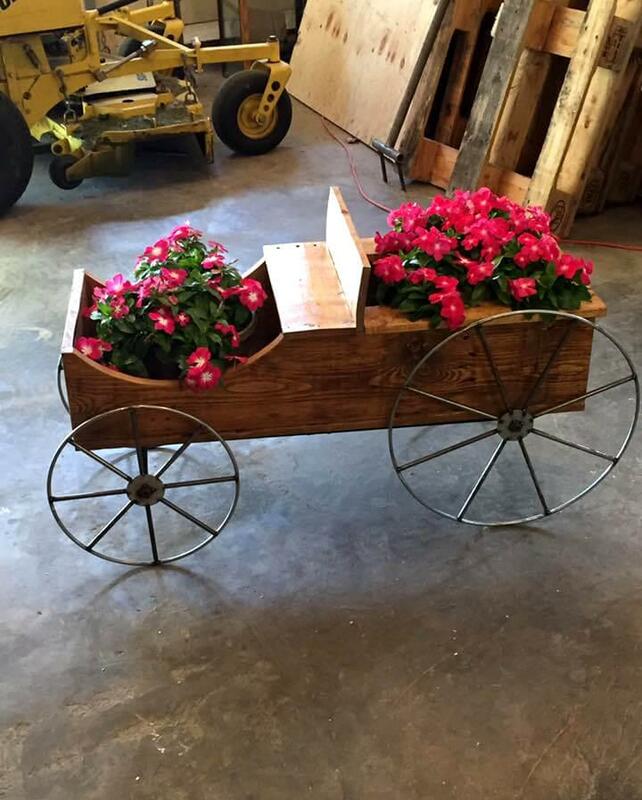 This is here the pretty charming pallet planter cart, ready to go as a outlandish piece of decor in your green space, would also earn appreciating comments for the owner by the onlookers!